As a London Wedding Photographer, its been my dream to photograph at the spectacular One Mayfair. Built in 1825, this wonderful venue has recently reopened its doors to those seeking marital bliss. Unsurprisingly, it’s rapidly becoming London’s most sought after wedding venue. Purchased by Grosvenor in 2009, the acquisition follows significant investment in the North Mayfair by the company. Situated in the dazzling West End, there’s no more stunning venue than One Mayfair. Carefully restored so it retains all its timeless majesty and splendour, it’s now the setting for a host of events. This includes world premieres, launch dinner, fashion shows and, of course, weddings. A classic Grade 1 building, it has many features which will guarantee the most beautiful venue imaginable. This includes a dramatic cathedral-like space, overlooking mezzanine, unrivalled rooftop views in the heart of Mayfair, and a combination of spaces to create varying atmospheres across the venue. If you’re looking for the perfect photographer for this venue, consider Iain Gomes. Iain is not only a photographer, he’s also an artist with a creature turn of mind. This means he captures images which are natural and relaxed, as well as technically sharp. 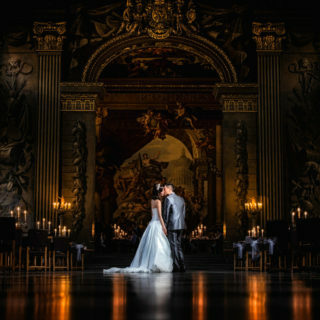 His expertise has even been acknowledged by the Society of Wedding and Portrait Professionals (ASWPP), who awarded him an Associate Qualification – an award which is held by less than 10% of UK wedding photographers.